WBC Asia Silver Bantamweight Champion “Magic” Mike Plania (W16 KO9 L1 D0) is back on the ring as he faces Renan Portes on November 25, 2018 at the Robinsons Mall Atrium in General Santos City. The fight is a 10 round non-title bout presented by Sanman Boxing Promotions in celebration of the birthday of its CEO Jim Claude Manangquil on November 24. Plania said he is excited to fight in front of his hometown crowd. “I am very happy to be back on the ring. I’ve been training hard despite this fight being non-title. Portes should not be taken lightly. Overconfidence has been the reason why boxers’ fall on the ring. I will treat this as if it’s a world title fight to ensure a victory”, Plania stated. Manangquil said he has so much to thank for in his career as a young boxing promoter. "I want to thank God for another year in my life. This event is my thanksgiving gift to the fans. As for Mike Plania, he is one of our top prospects at Sanman. He is scheduled to fight in the US this January and should therefore show a good performance to ensure that the fight happens. Portes is a hardworking kid. He will come up in great shape. 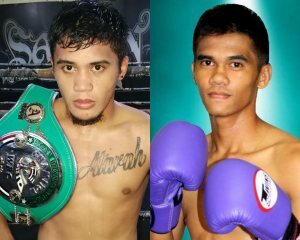 This is a fight no one should miss”, Manangquil said.